As a female I have a few purses. Granted not the gazillions most girls have. I have under five at last check. One of my favorite ones is a big light green purse that only has one pocket on the side to put small items , otherwise it is a free for all. Just dump what you want to put in and go on your merry way. 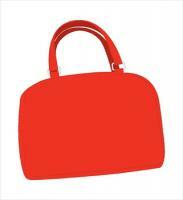 The other one is a smaller bag that is nice enough to use for functions, church and to look at least presentable. With a bigger bag there is always the issue of trying to find one item in a big bag for there is no order to a bag with no pockets. Yet here is my dilemma. My smaller purse that has two small pockets on the inside and two on the outside gives me major grief. For me to find anything in it, I have to literally dump everything out to find a chap stick, nail clippers and so on. While my bigger pale green hippie looking bag I can find anything within mere seconds of looking for it. What gives? Logically to me anyway it seems if it is smaller and has pockets I should have no issue but yet every single time I try to find something I mutter to myself. It always ends up with me promising myself that I will go back to my big free for all purse and yet I don’t. My family is so use to me fuss about this topic they have learned to ignore when it happens and just walk away. I live with smart men I suspect. As a trained scientist I have yet to figure out what the problem but now at this point the matter is becoming mute. It is just another mystery of life. For trying to be presentable I will go with the smaller bag and for the days that is does not matter or I don’t care I will go the hippie route. ← I’m gonna wash that gray right outta my hair….